This serial poisoner lured numerous suitors to their deaths, until her toxic ways resulted in a a one-way ticket to the electric chair. As the youngest of 12 children, Anna Marie Hahn always ached for more. Born Anna Marie Filser in 1906 Germany, she yearned for another doll or slice of bread with her supper, more attention from her hardworking parents. Yet as a young woman, Hahn found something else to fill this void—money. And she’d do anything to get her hands on it. At the age of 22 Hahn claimed to have had an affair with a Viennese physician, though later investigations showed no such doctor under the name she provided. From this alleged relationship she bore her first and only child, Oskar. Her family, scandalized by the event, swiftly made arrangements with relatives in Cincinnati, Ohio to take her. In 1929 Hahn made her way to America, leaving her dear son in Bavaria with her parents. It wasn’t long before she met fellow German immigrant and telephone operator, Philip Hahn, and the two soon married in 1930. Hahn returned briefly to Germany to retrieve her son, and set out for a normal family life in Cincinnati. Normal, however, was never one of Hahn’s strong suits. Though the family did well running two bakeries in the German district of Cincinnati, Hahn grew bored with the mundane working hours and meager earnings. So she resolved to take matters into her own deadly hands. Not long into their marriage, Philip suddenly fell ill. He went to the hospital at the behest of his mother, and to Hahn’s curious objection. While Philip ultimately survived the mysterious sickness, his marriage to Anna did not. Free from her bakery duties but shackled by the mounting debts of a gambling habit, Hahn turned to the seemingly honorable position of a live-in attendant for elderly men. While she had no prior experience as a caregiver, Hahn charmed her way into the position and soon initiated her deadly plan. A master chef of potions, Hahn stealthily poisoned each of her clients, tallying up more than ten murders in the span of five years. Her spree began with Ernest Koch (also named Ernst Kohler), a spritely man with no medical concerns, who unexpectedly died on May 6, 1933. Curiously, the man felt compelled to bequeath his house to Hahn shortly before his death. From there the list goes on. Albert Parker, a retired railroad man, was Hahn’s next victim. She borrowed money from Parker, but when he died the I.O.U she had signed mysteriously vanished. When Jacob Wagner died he willed a generous lump sum of $17,000 to his beloved “niece.” While caring for George Gsellman, Hahn hustled a whopping $15,000 from him before his death. Though Hahn was careful with her murders, always covering her tracks and never drawing too much attention to her deadly side job, there was one rare survivor. George Heiss grew suspicious of his health care attendant when she brought him a sloshing mug of root beer one afternoon. When Hahn left the room, Heiss noticed the flies that came to sip from the drink—they promptly fell dead before him. Sure that his fate would be the same Heiss dismissed Hahn. Sadly, he never informed the police of his suspicions—sending the murderer back on the streets and straight to her next, and final, victim. 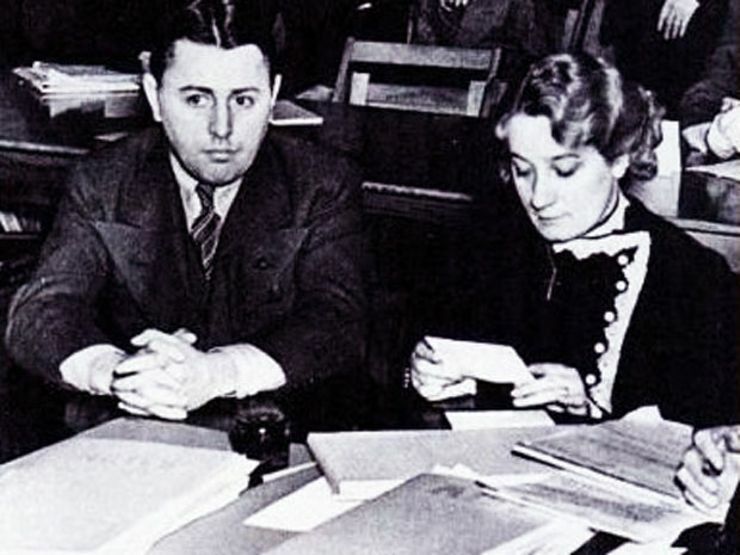 Perhaps her most elaborate plan yet, Hahn convinced George Obendoerfer to visit Colorado in the summer of 1937, ostensibly on a trip with her son. The man dropped dead in their hotel room shortly after arriving. Hahn made off with a $5,000 paycheck for a job well done. Suspicion arose, however, when Hahn offered to cover the cost of the funeral. The odd behavior led to an autopsy showing high levels of arsenic in Obendoerfer’s body. Detectives waited in Cincinnati for Hahn’s return with arrest warrants in hand. After searching her home, one detective commented that they found “enough poison to kill half of Cincinnati.” Hahn was eventually arrested and while her charges were great, she played the part of innocence well. 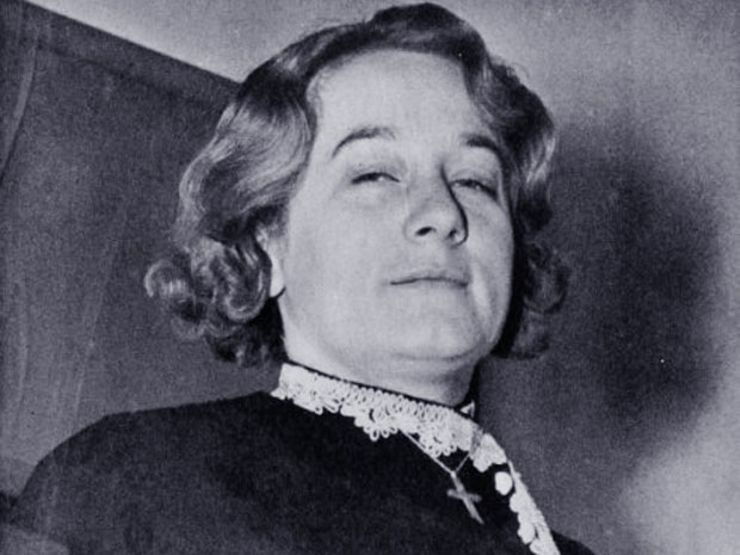 From her clean attire to her neatly done hair, Hahn stood strong against the accusations—even as evidence grew and she was put on trial for murder in the fall of 1937. Hahn’s nonchalance gave way when the jury took less than 3 hours to decide her guilt, offering no recommendation for mercy. The jury only realized later what a historic moment this would be for Ohio. 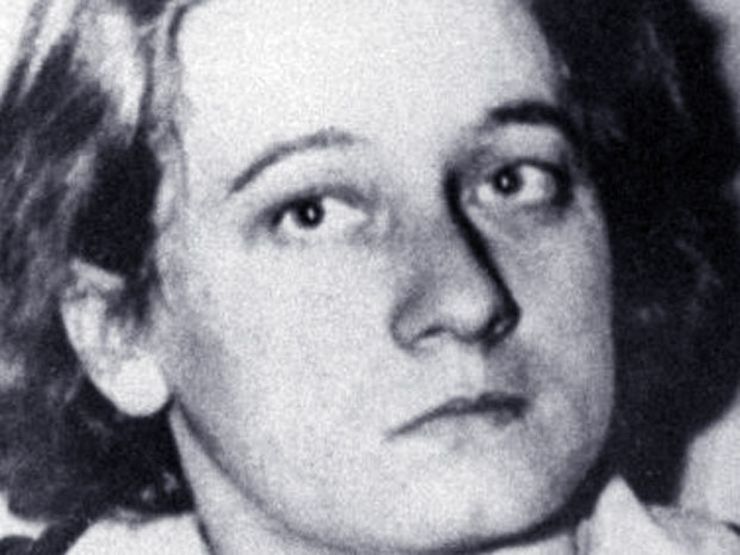 Not offering recommendation for mercy meant that she would automatically be sentenced to death, making Anna Marie Hahn the first woman to be executed in the state. On November 10, 1937 Hahn was brought before Judge Bell who formally sentenced her to death by electrocution. She maintained her innocence even as the Judge announced her execution. As the fateful day drew near, Hahn pleaded with anyone who would listen—though very few were interested in showing her mercy. On December 1, Hahn was transferred to the Ohio State Penitentiary. While her attorneys delayed the impending execution by bringing the case to the Supreme Court, Hahn’s fate was sealed when the Court ultimately refused to block the death sentence. On the evening of December 7, 1938, Hahn entered the execution chamber. She was strapped into the chair. With the words of the Lord’s Prayer still on her lips and Father John Sullivan, the prison chaplain, by her side, the switch was thrown. 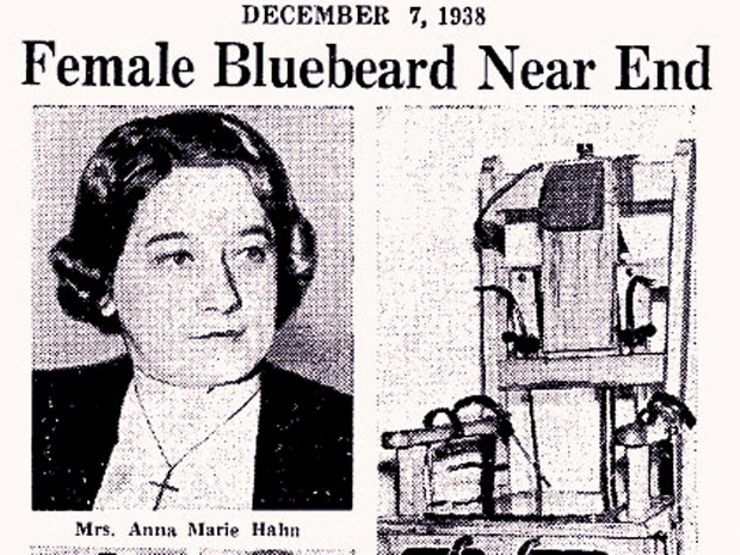 Anna Marie Hahn’s body writhed as electricity coursed through it. At 8:13pm she was pronounced dead. Oddly enough, in her final hours of desperation, Hahn left behind letters written to her attorney fully confessing her crimes, her confusion as to why she committed them, and her deep concern for the fate of her son, Oskar. With the detectives and many others satisfied by the confession, they sold the letters to the Cincinnati Enquirer under the condition that the money be wired to a trust fund for Oskar. The promise was kept. Oskar eventually settled into a foster care family in the Midwest, lived a fairly normal life, and served in the Navy during the Second World War.